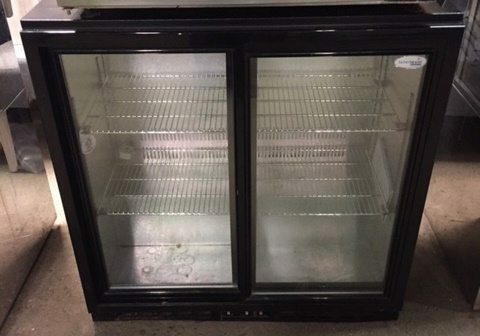 This is a very tidy back bar fridge unit capable of keeping your bottled beers nicely chilled. Interlevin are a regarded manufacturer of bar chillers for many years and have a strong reputation for efficient and economical bottle chillers. Complete with height adjustable chrome shelves.